With the introduction of Sony's Playstation, I had high hopes that Sony's first-gen console would be different, offer great games and not fall into oblivion in six months. This was my first disc-based console and I had my doubts about it's speed considering cartridges, although limited in size, delivered fast game play. I wasn't looking forward to loading times. I quickly became a convert and when I was some of the compilation discs of classic games - I was a happy guy. From Williams to Activision, there were a lot of classic games that would live on via this new console from Sony. Yay! The PlayStation (officially abbreviated as PS) is a 32-bit video game console first released by Sony Computer Entertainment in Japan on December 3, 1994, with Western releases from September 1995. The PlayStation was the first of the PlayStation series of consoles and handheld game devices. As part of the fifth generation of gaming, it primarily competed with the Nintendo 64 and the Sega Saturn. In 2000, a re-designed, "slim" version was released, called the PSone, replacing the original grey console, and also being renamed to avoid confusion with its successor, the PlayStation 2. The PlayStation was the first "computer entertainment platform" to ship 100 million units, which it had reached 9 years and 6 months after its initial launch. The last PSone units were sold on Christmas 2004 before it was finally discontinued, for a total of 102 million units shipped since its launch 10 years earlier. Games continued to sell until Sony ceased production of PlayStation games on March 23, 2006; over 11 years after it was released, and just over half a year before the release of the PlayStation 3. The PlayStation was the best selling console of all time from 1998 until 2006, when it was surpassed by its successor the PlayStation 2. The first conceptions of the PlayStation date back to 1986. Nintendo had been attempting to work with disc-based technology since the Famicom, but the medium had problems. The Famicom Disk System's rewritable magnetic discs could be easily erased (thus leading to a lack of durability), and they lacked any sort of copy protection, thus were vulnerable to piracy. Consequently, when details of CD-ROM XA (which had neither of those problems) were released to the public, Nintendo was interested. Simultaneously developed by Sony and Philips, CD-ROM/XA was an extension of the CD-ROM format that combines compressed audio, visual, and computer data, allowing all to be accessed simultaneously. Nintendo approached Sony to develop a CD-ROM add-on, tentatively titled the "SNES-CD". A contract was signed, and work began. Nintendo's choice of Sony was due to a prior dealing: Ken Kutaragi, the person who would later be dubbed "The Father of the PlayStation", was the individual who had sold Nintendo on using the Sony SPC-700 processor for use as the eight-channel ADPCM sound set in the Super Famicom/SNES console through an impressive demonstration of the processor's capabilities. Sony also planned to develop a Super Nintendo-compatible, Sony-branded console, but one which would be more of a home entertainment system playing both Super Nintendo cartridges and a new CD format which Sony would design. This was also to be the format used in SNES-CDs, giving a large degree of control to Sony despite Nintendo's leading position in the video gaming market. 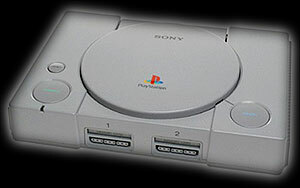 The product, dubbed the "Play Station" was to be announced at the May 1991 Consumer Electronics Show (CES). However, when Nintendo's Hiroshi Yamauchi read the original 1988 contract between Sony and Nintendo, he realized that the earlier agreement essentially handed Sony complete control over any and all titles written on the SNES CD-ROM format. Yamauchi decided that the contract was totally unacceptable and he secretly canceled all plans for the joint Nintendo-Sony SNES CD attachment. Instead of announcing a partnership between Sony and Nintendo, at 9 am the day of the CES, Nintendo chairman Howard Lincoln stepped onto the stage and revealed that Nintendo was now allied with Philips, and Nintendo was planning on abandoning all the previous work Nintendo and Sony had accomplished. Lincoln and Minoru Arakawa had, unbeknownst to Sony, flown to Philips headquarters in Europe and formed an alliance of a decidedly different nature - one that would give Nintendo total control over its licenses on Philips machines. After the collapse of the joint project, Sony considered halting their research, but ultimately the company decided to use what they had developed so far and make it into a complete, stand-alone console. As a result, Nintendo filed a lawsuit claiming breach of contract and attempted, in U.S. federal court, to obtain an injunction against the release of what was originally christened the "Play Station", on the grounds that Nintendo owned the name. The federal judge presiding over the case denied the injunction and, in October 1991, the first incarnation of the aforementioned brand new game system was revealed. However, it is theorized that only 200 or so of these machines were ever produced. By the end of 1992, Sony and Nintendo reached a deal whereby the "Play Station" would still have a port for SNES games, but Nintendo would own the rights and receive the bulk of the profits from the games, and the SNES would continue to use the Sony-designed audio chip. However, Sony decided in early 1993 to begin reworking the "Play Station" concept to target a new generation of hardware and software. As part of this process the SNES cartridge port was dropped and the space between the names "Play Station" was removed becoming "PlayStation", thereby ending Nintendo's involvement with the project. The PlayStation was launched in Japan on December 3, 1994, North America on September 9, 1995, Europe on September 29, 1995, and Oceania on November 15, 1995. The launch price in the American market was US$299 and Sony enjoyed a very successful launch with titles of almost every genre, including Battle Arena Toshinden, Doom, Warhawk, Air Combat, Philosoma, and Ridge Racer. Almost all of Sony's and Namco's launch titles went on to spawn numerous sequels. Critics praised the console for the quality of its 3-dimensional graphics. Microsoft chairman Bill Gates preferred Sony's console to the competition from Sega, saying "Our game designer likes the Sony machine." Microsoft would later compete with Sony with its Xbox console. In a special Game Machine Cross Review in May 1995, Famicom Tsushin would score the PlayStation console a 19 out of 40. In addition to playing games, the PlayStation has the ability to read and play audio CDs. The CD player has the ability to shuffle the playback order, play the songs in a programmed order, and repeat one song or the entire disk. This function, as well as a memory card manager, can be accessed by starting the console either without inserting a game or keeping the CD tray open, thereby accessing a GUI for the PlayStation BIOS. The actual GUI for both PSone and PlayStation differ graphically depending on firmware versions. If the CD lid is closed with a game inside at any time while at the menu, the game will immediately start. As of September 30, 2007, a total of 7,918 software titles have been released worldwide (counting games released in multiple regions as separate titles). As of March 31, 2007, the cumulative software shipment was at 962 million units. The very last game for the system released in the United States was FIFA Football 2005. However, it can be noted that on July 26, 2007 in Japan and March 18, 2008 in the U.S., Metal Gear Solid: The Essential Collection was released, which contained new printings of the game Metal Gear Solid in the original PlayStation format. Also in 2011, Capcom released Resident Evil 15th Anniversary Collection, which contains reprinted PlayStation copies of Resident Evil, 2 and 3. The last game for the system was Hugo Black Diamond Fever released in August 2005. The OK and Cancel buttons on most of the Japanese PlayStation games are reversed in their North American and European releases. In Japan, the Circle button is used as the OK button, while the X button is used as Cancel. North American and European releases have the X button or the Circle buttons as the OK button, while either the Square or the Triangle button is used as Cancel. However, a few games, such as Square's Vagrant Story, Final Fantasy VII (which used the X button as cancel) and Final Fantasy Tactics, Namco's Ridge Racer Type 4, and Konami's Metal Gear Solid, use the Japanese button layout worldwide. Some other games, like the Japanese version of Gran Turismo, had used different controls that are similar to North American games. These Japanese button layouts still apply to other PlayStation consoles. This is because in the early years Sony America (SCEA), Sony Europe (SCEE), and Sony Japan (SCEJ) had different development and testing documents (TRCs) for their respective territories. Sectors 12 through 15 contain an invalid zeroised EDC/ECC checksum, so if the PS reads and does not see an invalid EDC/ECC then it knows that the CD in the drive is a copy. The error is pressed into the disc at the time of manufacture, and cannot be reproduced on most CD-R recorders because the recorder will automatically regenerate the 'corrupt' sector's checksum. The PlayStation uses a mixed-mode format with most data in Mode 2/Form 1 and streaming audio/video data in Mode 2/Form 2. Most CD-R drives at the time could not handle this variation well, but newer drives are able to. Discs were manufactured with a black-colored plastic (transparent only to the infrared radiation used by CD-ROM lasers), and it was theorized that the PlayStation's drive was engineered to require these tinted discs. However, this is easily disproven, as PlayStation CD-ROMs can be read by most CD drives, and the PlayStation will read standard audio CDs and most recordable CDs. There are reports of dark blue-colored plastic CDs used at the end of the console's lifetime too, specially in PAL territories. The installation of a modchip allowed the PlayStation to play games recorded on a regular CD-R. It also allowed the console's capabilities to be expanded in other ways, such as playing games from other regions. By the end of the system's life cycle almost anyone with minimal soldering experience was able to perform these modifications. This created a wave of games developed without official approval using free, unofficial tools, as well as the reproduction of original discs. With the introduction of such devices the console became very attractive to programmers and illegal copiers alike, as well as those who merely wished to protect the lifespan of their lawful, original discs. Some companies (notably Datel) did manage to produce discs that booted on unmodified retail units, but this required special equipment and could only be done with "pressed" discs. Released in July 2000, concurrently with its successor the PlayStation 2, the PS One was a considerably smaller, redesigned version of the original PlayStation video game console. Originally launched on July 7, 2000, it went on to outsell all-other consoles including its successor, PlayStation 2, throughout the remainder of the year. It featured two main changes from its predecessor, the first being a cosmetic change to the console and the second being home menu's Graphical User Interface.